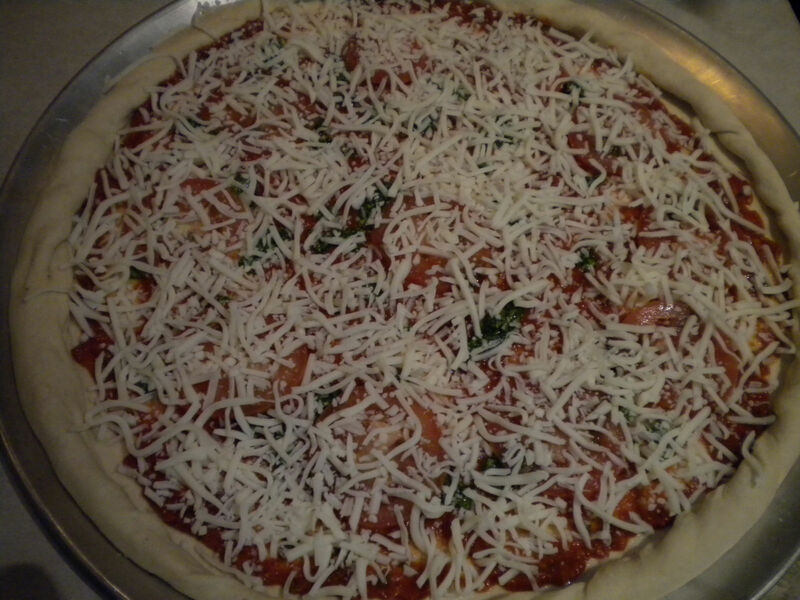 One of the greatest things about making pizza from scratch is that YOU control everything about it. You can pile on the veggies and go light on the cheese if you’re watching calories. Or you can pile on fun toppings. Living here in Jackson Hole we have some interesting options right at our fingertips, like ground bison… it makes an excellent pizza topping, believe me! 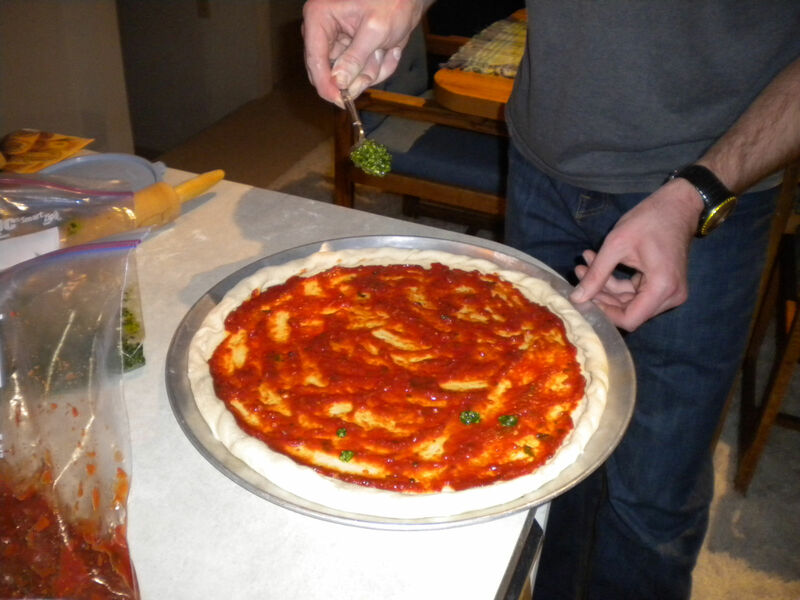 Bryan has been making pizza dough and sauce from scratch for some time now and has the process perfected. 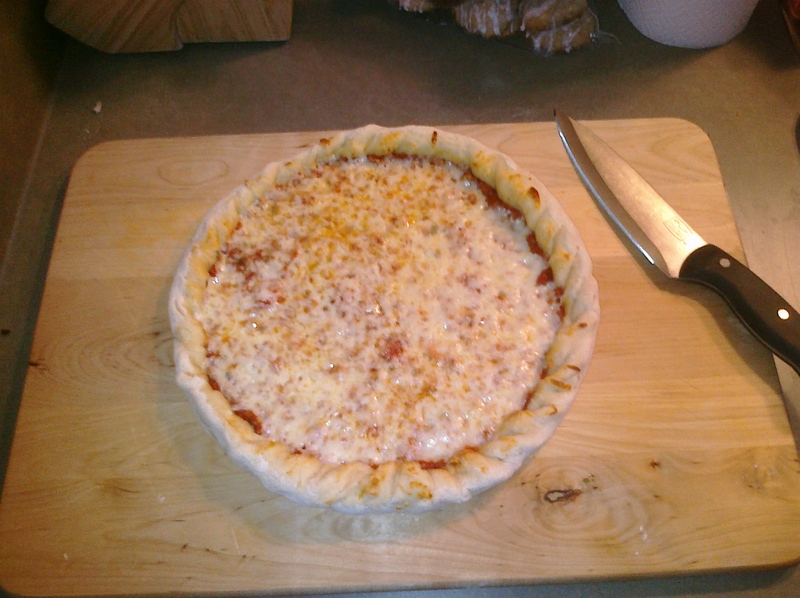 Now that his legendary pizza is blog-worthy we literally eat it ALL the time, maybe once or twice a week. Here it is, straight from Mr. Bryan Nash. In a measuring cup add 1 cup of warm water, add yeast and sugar, stir till yeast is dissolved, let sit for about 10 minutes until the yeast starts to bubble. In a large mixing bowl add flour and salt, mix, make bowl in flour for water, yeast mixture. Add water, then EVOO, mix to smooth, doughy consistency. Then place in oiled bowl, cover with a clean towel and let sit until dough doubles in size. In a sauce pan on low/medium heat add tomato paste. In a food processor, chop tomoto, onion, basil, and garlic until only slightly chunky, then add to sauce pan with EVOO and salt and pepper. Bring to low boil, then remove from heat and refrigerate for 2 hours to let flavors settle. Subscribe to the Natalie Diaries!